My sister Princess Aurora of Wexfordshire lives in Wexford. See what I did there? Me, my parents, and my sister Pens Fan all live a mile from each other in an eastern suburb and often tease her that she moved SOOO FAR [WAH] AWAY. It drives her mad when we do this, so of course we do it every chance we get. Out of love. Pens Fan: Ginny, I was just saying– doesn’t Princess live super far away? Me: OMG. It’s ridiculous how far away she lives. 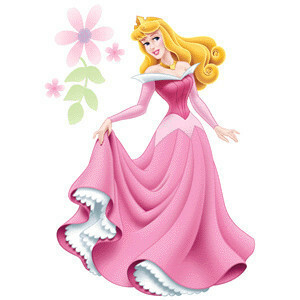 Princess Aurora: [stink eye] Wexford is not that far away. Me: It takes forever. You gotta stop for gas halfway there. Me: And you gotta pack travel games for the kids. Pens Fan: Put the luggage rack on the car. Pens Fan: Hold the mail. Princess: [holds her pregnant belly and breathes fire] IT IS NOT THAT FAR AWAY! Me: You might as well just rent an RV if you’re going to Princess Aurora’s house. I know how your sister feels…Two years ago when I remarried, I moved from the North Hills (where I grew up) to the South Hills. My dad actually had us install a video camera on his computer so he can Skype us, because, you know, the South Hills is like another country from the North Hills. We have a friend in the North Hills who freaks out every time we ask her to visit because she has to drive over a river and through a tunnel. Far away from the family…..but a whole lot closer to everything else. I live in regent square and I have friends out in robinson…I think thats soooo farrr away. Plus I do hate the fort pitt tunnel and bridge…people just don’t like to merge. It’s all about the tunnel(s) you must go through, which I know all too well after my 1:50 minute trip from the Parkway East to the airport Friday afternoon. Good times! I started out in West View in the North Hills and then I moved to the South Hills to Bethel Park/Mt. Lebanon boundary area. Took 45 dang minutes to get to my friend’s house in Gibsonia but I did the trip because I <3 her. BUT on Thanksgiving? Took 30 minutes. Everyone else in Pittsburgh was already on their correct side of Pittsburgh. Now I'm in Indianapolis and it takes me like 60-90 mins to get to my parent's or my parent's-in-law's houses and it really doesn't feel bad at all, because it used to take like 8 hours. My in-laws used to lament that their children and spouses lived so far away (Hubs & I on the South Side, SIL & her hubs in Regent Square, then Dormont; ILs in Moon). So we moved next door. That’ll learn ’em. Proud of the fact that the new Batman is being filmed in the ‘Burgh….Love your blog! I grew up in Wexfordshire. I learned everything about life in Wexfordshire. You are correct. It is very, very far away. From everything. Before I forget: Damn, it’s good to have you back, young lady.